The following article appeared in the December 27, 2016 edition of the NYC Health + Hospitals Insider, and highlights our initial care transitions work at our largest partner. Anthony*, a young man struggling with mental illness and a family history of mental health problems, found himself hospitalized again and again with no one to lean on. Mercedes*, a woman in danger of going blind, skipped medical appointments and wouldn’t pick up the phone to get care although her potential blindness could be prevented. These stories represent real-life cases of patients at a number of hospitals in the NYC Health + Hospitals system whose complex medical, emotional, and socio-economic conditions put them at risk of repeated hospitalizations that can be avoided. But thanks to a new Transition Management Team – part of the Delivery System Reform Incentive Payment (DSRIP) program – many high-risk patients under our care will receive the extra care coordination and attention they need to help improve their health and stay out of the hospital. “We’re introduced as part of the team at the bedside so that the patient understands from day one that we are on their side,” explains Nyasha Cupid, RN, BSN, Care Manager at NYC Health + Hospitals/Kings County. Cupid developed a deeper and more meaningful rapport with Anthony and soon became a trusted advisor. She quickly learned the real reason Anthony was not taking his medications: he was experiencing negative side effects and had trouble paying for prescriptions. Cupid joined Anthony at doctors’ appointments and navigated the system to find a way to help him pay for his medication. With his mental health condition in check, Anthony is now stable, staying out of the hospital, taking his meds, keeping his doctors’ appointments, and looking for a job. 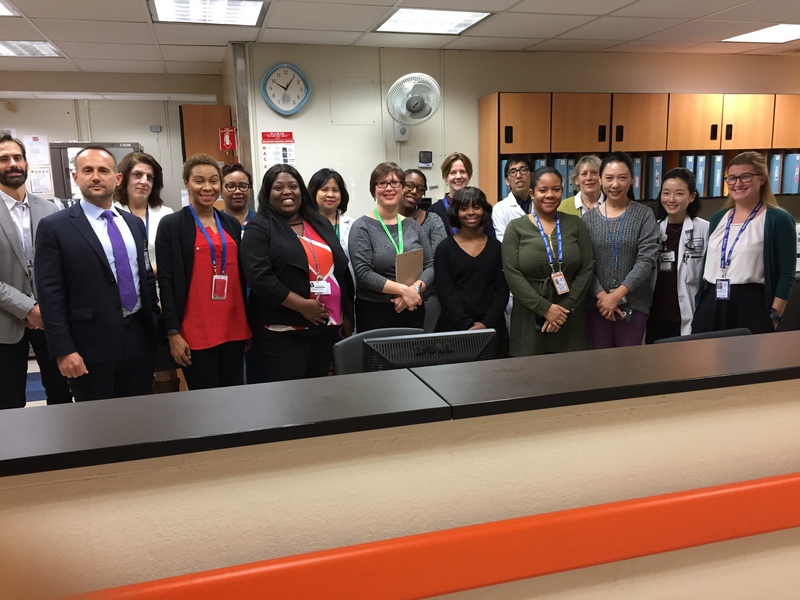 The new teams, now in place at NYC Health + Hospitals/Kings County and NYC Health + Hospitals/Bellevue, create comprehensive plans for patients who are at a high risk of readmission. Consisting of a nurse, a social worker, and a community liaison, each team educates the patient about their health care needs and care plans, explains medications and helps secure them, ensures that the patient attends their follow-up appointments, and addresses social barriers or needs that arise. So far, the program has served nearly 600 individuals at the two patient care sites. Similar teams will soon be in place at additional NYC Health + Hospitals facilities. For Mercedes, the team created an intervention plan that included a home visit. “When we went to her home and explained that our job is to keep her healthy and nothing else — she started to trust us,” says Nancy Aponte, RN, BSN, Care Manager, NYC Health + Hospitals/Bellevue. It turned out that Mercedes had a low level of health literacy and didn’t fully understand what to do to prevent blindness. She also received an expensive medical bill and was afraid to seek treatment, worried that someone would try to collect the money that she simply did not have. Aponte worked with the finance department and helped Mercedes to re-enroll in health insurance to cover all her basic needs. Mercedes is on the right track now and tending to her medical care.